There’s nothing quite like enjoying dessert out of a little, wee cup. If you haven’t tried it, I highly suggest that you do. In fact, I suggest that you do it with everything that you eat. Using a smaller dish for your meals (and snacks) will make all of your portions look larger. You’ll feel more satisfied just by looking at your portion and I can just about guarantee that you won’t get up for a second serving, or eat until you’re uncomfortably full. I picked up this mindful portioning trick a couple of years ago and am consistently amazed at it’s practicality. 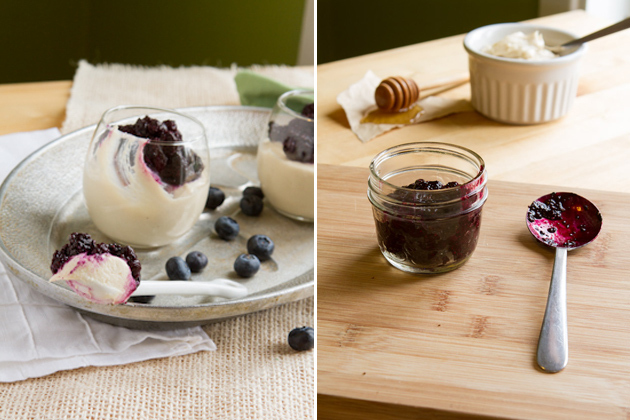 Moral of the story: small ramekins are my friends… and they should be yours, too. Aside from this recipe being of the itsy-bitsy variety, it’s also rather Spring-like, wouldn’t you say? It only got more serious as the day progressed. 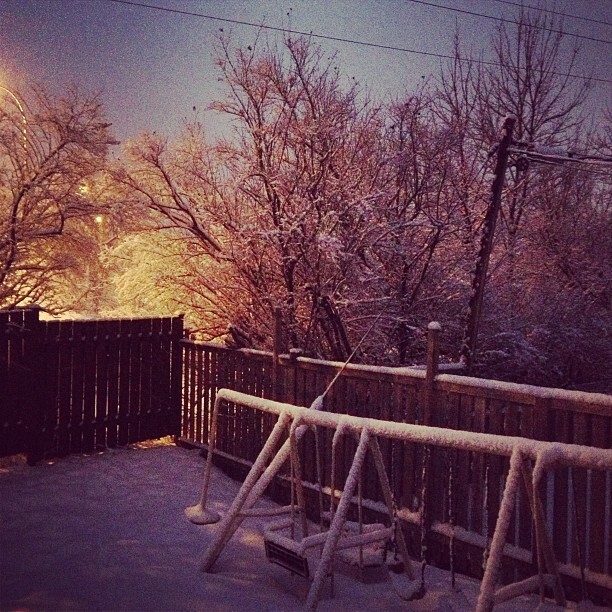 Were you hit with a huge snowfall yesterday, too? If so, why don’t we all just hustle to our kitchens, make a batch of cheesecake and dream away the Winter. 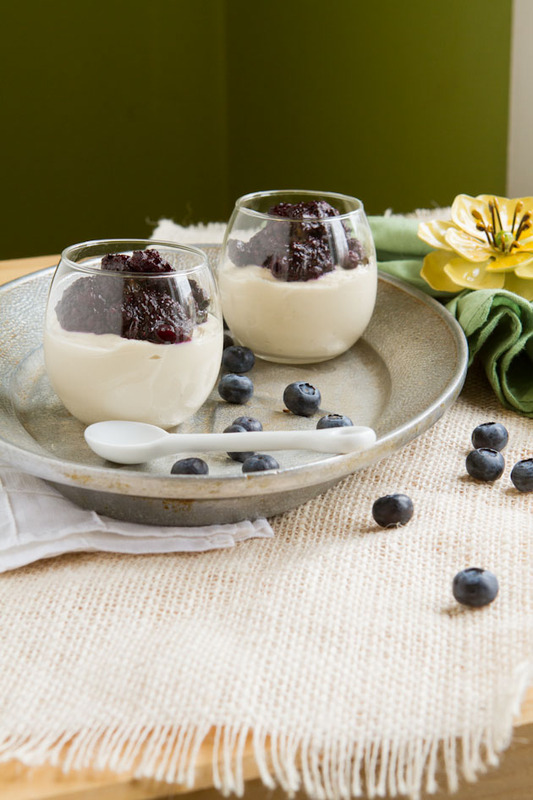 Mini cups of creamy vegan cheesecake topped off with a blueberry chia compote. 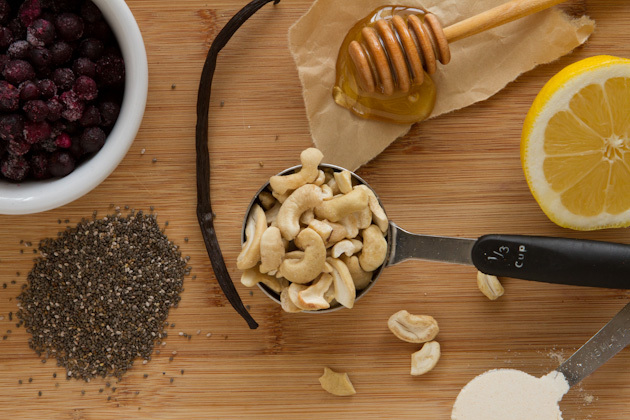 Add cashews, lemon juice, vinegar and honey to the bowl of your food processor or blender. Blend until smooth, about 2 minutes. Drop in coconut flour, ¼ teaspoon at a time while still blending for another minute. Divide mixture amongst two tea light candle holders or small parfait cups. Set aside. 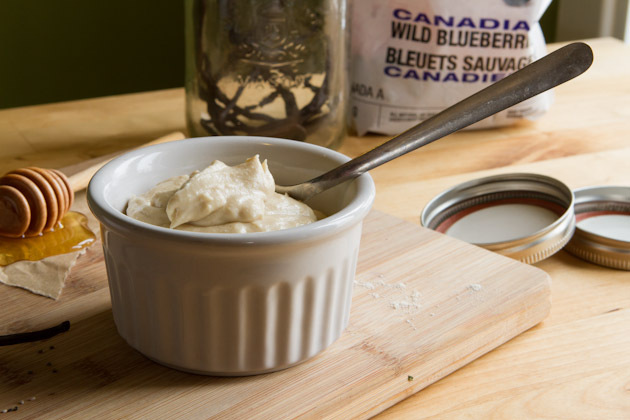 In a small saucepan, place blueberries and vanilla extract. Bring to a boil on medium heat. Reduce heat to low and simmer for 5-7 minutes until liquid has reduced by half. Stir in chia seeds, remove from heat and allow blueberry mixture to cool. 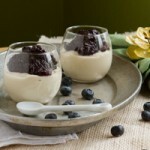 Spoon blueberry compote over the cheese layer and refrigerate until chilled, about 4 hours. This recipe makes 2 servings. If you're using a vitamix or large blender to make this recipe, I suggest you double up on the recipe so that the blades of the blender are able to reach the ingredients easily. THE CHILL TIME ALLOWS THE VINEGAR AND FLAVORS TO DEVELOP PROPERLY. Highly suggest letting this sit for 4 hours as suggested. Vegan and honey is a sticky situation (heh). When I was vegan I did the honey thing. You may not… and that’s okay. 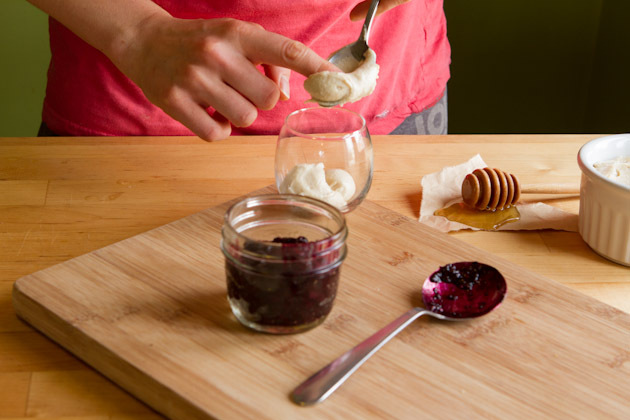 Feel free to replace the honey in this recipe with whatever other sweetener you have handy. Chris – you can use stevia ;) Whoop, whoop! If you look closely at the picture below and to the left, you’ll see my smashingly awesome work ensemble of yesterday… pajama bottoms and an old painting t-shirt. Classy, right? but my face didn’t fit. And, because you guys liked the chia fruit spread so much, I figured I’d make a batch of my own and use it as a topping instead of a regular compote. It was so incredibly easy… I know you can do it. 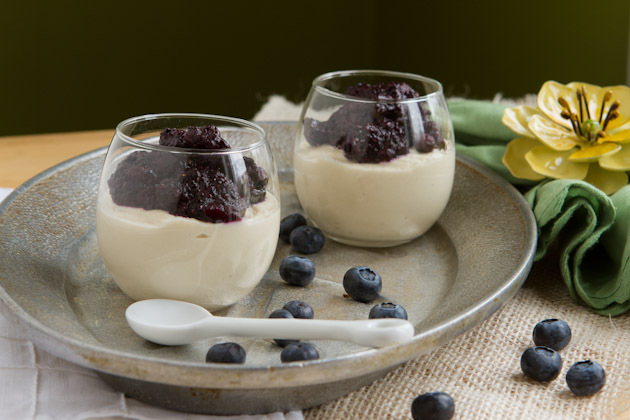 Adding the chia into the cooked fruit helped to soak up all the juices from the fruit, making the blueberry mixture so easy to drop and shape onto the top of this vegan cheesecake. 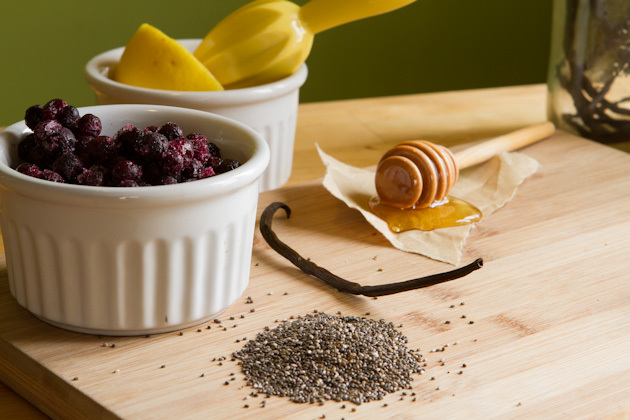 It definitely won’t be the last time that I use chia with cooked fruit, that’s for sure! And you’ve got yourself a perfect dessert for later. Yum yumity yum. It was one yummy scene, I’ll tell ya. 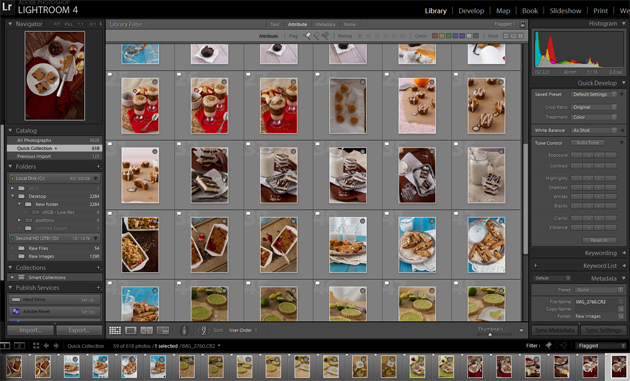 Let’s just say that I’m happy I went into the project with a dessert-filled belly!